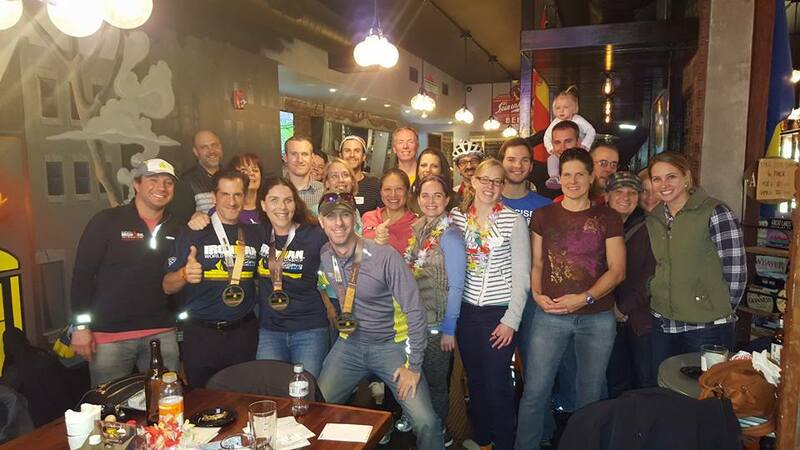 Philadelphia Triathlon Club is Blogging! 2015 is coming to a close which for most triathletes means race season has come to an end. The “off-season” usually means lighter training schedules, often focusing on form and technique. It also means there aren’t many races taking place, although you can always find a triathlon here and there…often in fun places such as Uruguay, Australia, Mexico, Chile, South Africa. Okay, so I peaked ahead at what’s happening this winter with Ironman. Who doesn’t love the idea of combining our passion for triathlon with vacation? We also find the athlete social scene slowing down this time of year but does triathlon season truly come to a complete close? I’d like to call this the “after race season” because for many of us triathlon is a lifestyle, right? I sit here excited to write the first blog post for the Philadelphia Triathlon Club while I patiently wait for my Gluten-free Paleo banana bread to come out of the oven. I appreciate PTC’s response to my idea of adding a blog. I’m excited to kick things off and look forward to maintaining the blog. Blogs are useful for so many things and triathletes love to keep current with events, hear real training and race stories, and all that’s new in the world of triathlon. I hope the PTC blog will become a valuable and entertaining place for us all to visit and participate. I also hope that those new to the sport will feel encouraged to join us. We’d like to invite club sponsors and members to guest blog for PTC, share all aspects of triathlon, capture our race experiences, training and race day images, inspire one another, and even remember the bloopers too. It would also be awesome if we would take turns blogging after each of our club races too. This weekend loads of PTCers raced the Rothman Institute 8K, Philadelphia Marathon and Half Marathon. Oh, and Dan is still out there racing a 50K. (whoa!) Want to blog about this weekend’s race? Contact Philadelphia Triathlon Club or email me at yogapeachblog@gmail.com. We’d love to hear about it. And remember to follow on the PTC Facebook Group.